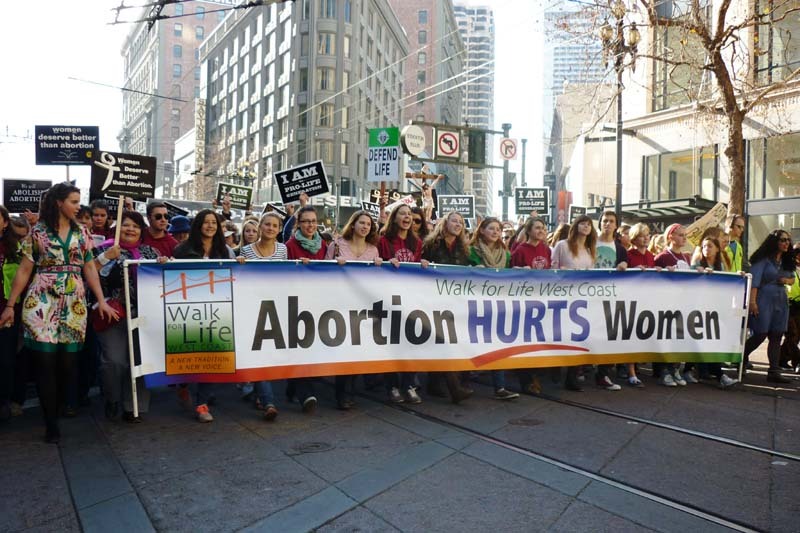 Some 60,000 pro-life Californians (and some from out of state) “walked for life” in San Francisco Saturday to bring attention to the plight of little humans in the womb — preborn babies who are scheduled for a torturous abortion death. Yes, I know what you’re thinking. California is a very pro-abortion state because of average Democrat politicians and a handful of liberal Republican ones, so what’s the use? I’ll tell you what’s the use: the fruit of our actions is changed hearts and minds. You see, the very public message of the San Francisco march and other public pro-life events up and down the state are reaching people with intact consciences … and changing them from ambivalence on abortion … to opposition to abortion. What’s more, everyone who went public with their values improved their character by loving others and matching their words with their actions. And which one of us doesn’t desire to have integrity before God and man, and to grow inwardly? Now, step up and step out into the 2014 California election year — find candidates who match your values and volunteer for them! Certainly every Christian ought to be praying and working to nullify the abominable abortion law. But as we work and pray, we should have in mind not only this important issue as though it stood alone. Rather, we should be struggling and praying that this whole other total entity “(this godless) worldview” can be rolled back with all its results across all of life. 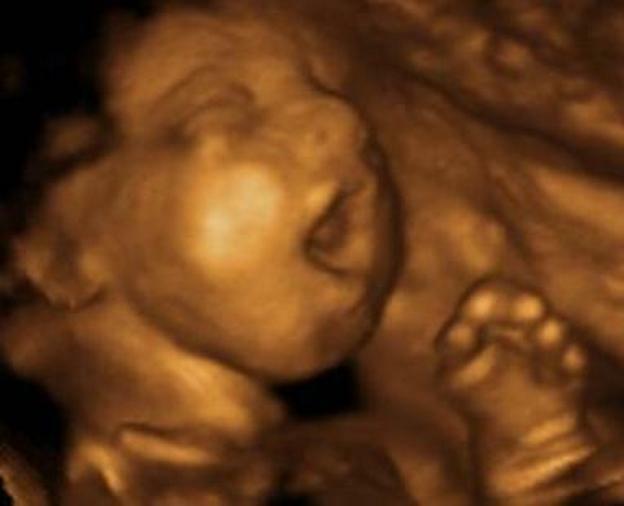 Abortion stops a beating heart and tortuously kills an innocent, growing baby. If you believe this is wrong in God’s sight, and support the legal right to life for innocent human beings, please “go public” with your values by participating in a pro-life event near you this month, which marks 41 years of the notorious Roe v. Wade U.S. Supreme Court ruling that legalized abortion through all 9 months of pregnancy, for any reason. Because abortions are done in secret, we all need to provoke ourselves to care more and do more to be a voice for the voiceless. See these amazing pro-life videos on SaveCalifornia.com’s YouTube page. The power of determination, social media, family-friendly media, mainstream media, and word of mouth by caring individuals, along with SaveCalifornia.com’s efforts and the media we helped generate, had a tremendous impact for good on the days leading up to January 1. 1. Many children were protected from being forced to watch and see as good two men cozying up in a “gay wedding” atop an AIDS float. As word spread, parents were empowered to intervene. They made a decision to boycott watching the parade, and many complained to parade organizers and sponsors. These principled parents rescued their boys and girls from ‘LGBT’ anti-family activists invading a family event with their immoral agenda. And guess what, ABC and NBC seems to have gotten the message because they did not show the “live gay wedding” in their televised parade coverage! 2. More people now realize there is an in-your-face assault upon not just marriage, but upon children and families and wholesome, moral values. More Californians and Americans stepped out of silence to express their disgust by contacting the Rose Parade and pro-homosexuality sponsors such as Honda and Coca-Cola, and by sharing to thousands of people our boycott action steps through email, Facebook, Twitter, and more. At our urging, they chose not to watch the parade. And they stepped up to the plate with gusto! I now expect to see our pro-family movement do more activism in the wake of this good protest and in the face of blatant intolerance of moral values. 3. Once again, it’s been proven that one person can make a difference. 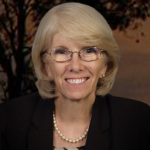 Her name is Karen Grube, a vocal pro-family citizen from San Diego. 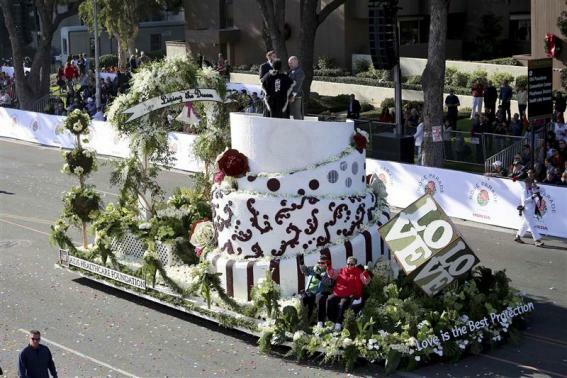 She heard about the “live gay wedding” float — and, in faith, took quick action to launch a Facebook page, “Boycott the 2014 Rose Parade.” Over several days the page grew, media heard about it, and Karen did her first interview with the Pasadena Star-News and the story went coast to coast! 4. SaveCalifornia.com’s Campaign for Children and Families was successful adding our strength and voice to what Karen started. We interviewed with 3 radio stations in Los Angeles and on TV in Sacramento and in other pro-family and secular media. Our combined call to boycott to protect children from bad role models reached many people – the truth was heard! 5. Everyone who participated in the boycott grew in some way. Those who denied themselves their annual pleasure of the Rose Parade improved their moral character. I think about Jesus Christ saying, “If anyone desires to come after Me, let him deny himself, and take up his cross, and follow Me.” (Matthew 16:24 NKJV). As hard as it is, denying a pleasure for a greater good is a victory not only for adults, but for children whose eyes were protected from these bad role models. 6. Real, man-woman marriage was honored. The media heard from pro-family citizens, Karen Grube, and SaveCalifornia.com and others that many people know marriage is still only for one man and one woman, despite what corrupt judges did to Prop. 8. And we and this true-to-God fact are not going away! 7. The Rose Parade boycott was so much bigger than one day of standing publicly and letting our voices for real marriage, morality, and the protection of children to be heard. No, it was the New Year’s kick-off to kindle up the fires of moral activism and keep them burning this election year. My recommendation? Get used to taking action, but now direct your energies toward getting good candidates elected in the 2014 elections. Simply research online which candidates represent your values and who also have a chance to win, and call them to ask how you can volunteer. When you think deeply about life, you realize that Truth must never go silent. Creator God always wants the truth to be told, because Truth is Love, when spoken gently to the humble and tough to the prideful. If we are to have any practical hope for the future, children must be protected from harm and trained in righteous character. We must all do what’s right in God’s sight. The 2014 Rose Parade protest can be your down-payment that sparks you to be “zealous for good works” in this important election year. It’s your invitation to do significant things for the love of God and people He created.